Job seekers in China no longer focus exclusively on salary when selecting a position. According to Zhaopin.com, the quality of organizational management has become the biggest concern for university students in China. Shanghai-based startup Seedlink aims to replace traditional resumes by providing recruiters with smart technology to interview job applicants through their mobile phones. Their custom algorithm analyzes the answers and predict who fits the job best. “Everybody is biased when recruiting. Yet HR is the biggest expense for companies,“ Robin Young, founder and CEO of Seedlink says. Seedlink conducted a case study with French cosmetics and beauty company L’Oréal when recruiting Chinese graduates last year. 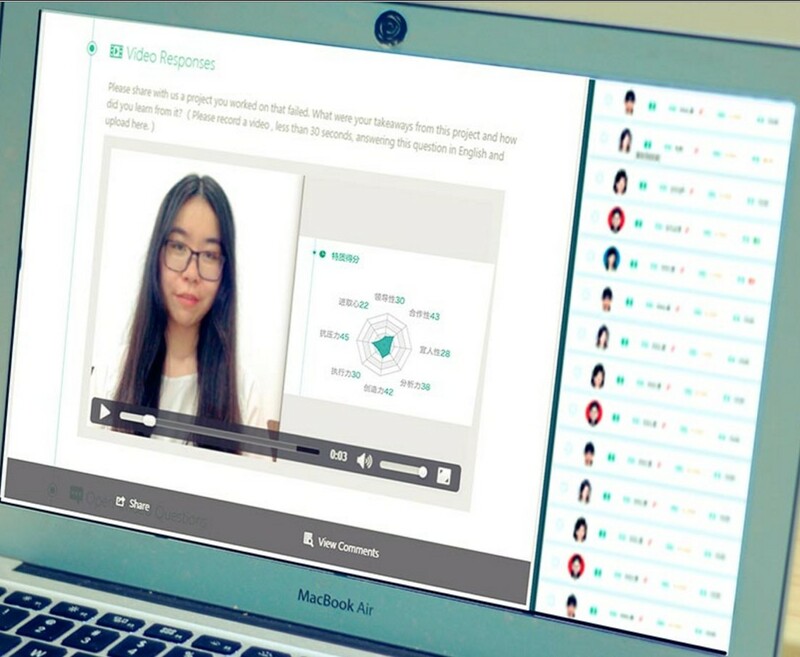 Using Seedlink’s solution, L’Oreal listed three open-ended questions to applicants who answered the questions on mobile and left a short video on their personal motivation. Seedlink analyzed the applicant’s answers in five criteria, including emotional stability, openness, agreeableness, extroversion, and conscientiousness to evaluate applicants, and predicted which applicant’s answer best fitted to L’Oreal’s profile. Seedlink’s also targets startups. According to Young, about 100 accounts are now established for small to large-sized companies, and about 35 companies are paying clients, among whom are Cola Cola and L’Oréal. Internationally, there are many startups that aimed to improve the traditional recruiting process. US-based on-demand hiring service HireVue, and Madrid-based JobandTalent, a recruitment platform that uses linguistic analysis to help job seekers. HireVue landed a $45 million USD series E round in June last year, and Jobandtalent raised a $25 million series A round in May last year. “Data is everywhere, what really matters it that – in what ways you analyze the data. They still rely on CVs and can’t predict job performance at all,” Mr. Young adds. With Coca Cola, the company is now working to build interview A.I. (Artificial Intelligence) by modeling the judgement of existing staff over time to evaluate new hires. Young said the company is working to solve the core challenge within deep learning in order to make video and audio analysis possible in future. Their goal is to launch a real-time tool for face to face interview to evaluate applicants at the end of the year. The current recruiting process in China is mostly done by Lagou, 51Job, 58Ganji, Chinese classified ad services with hiring as a core businesses, and Zhaopin, focusing on connecting users with relevant job opportunities throughout their career lifecycle.